PureWay has started working with many different end users that include patients that self inject at home, healthcare facilities, nursing facilities and more. It is very important to make sure that sharps are properly secured in a OSHA approved sharps container to avoid needle sticks. Why are Sharps Containers needed? Where do you find Sharps Containers? 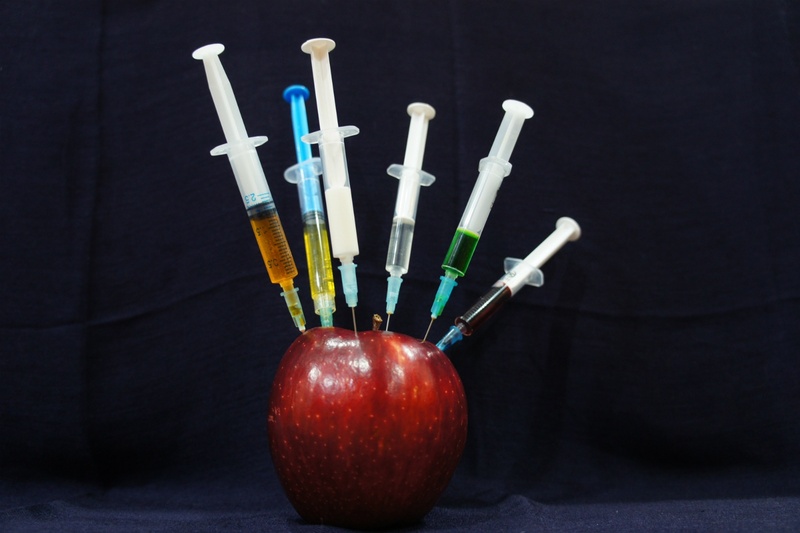 According to the WHO, more than sixteen billion injections are administered annually worldwide. (3) Individuals with medical conditions such as allergies, arthritis, cancer, diabetes, hepatitis, HIV/AIDS, infertility, migraines, multiple sclerosis, osteoporosis, blood clotting disorders, and psoriasis, require the use of sharps often multiple times a day. ● Needle – a very fine, slender, hollow piece of metal used to inject medication under the skin. ● Syringe – device which a needle is attached to in order to inject medication into or withdraw fluid from the body. ● Lancet also called a “finger stick” – instruments with a short, two-edged blade used to get drops of blood for testing. Lancets are commonly used in the treatment of diabetes. ● Auto injector, including epinephrine pens – syringe pre-filled with fluid medication designed to be self-injected into the body. ● Infusion set – tubing system with a needle used to deliver drugs to the body. Sharps container disposal is necessary in order for that bio-hazardous material to be safely handled. It’s important that disposed sharps not be forced into the container, so that the sides aren’t punctured and needle stick injury occur. Sharps containers should never be filled past the indicated line, typically two-thirds of the way, in order to prevent these incidents. Any facility such as healthcare, dental, and medical offices that handle sharps, are required to house FDA-certified sharps containers. In addition to medical facilities, many public areas such as airports and restrooms in large institutions also offer sharps containers in order to accommodate the self-injectors. Sharps disposal is heavily regulated, requiring containers to display a bio-hazardous symbol indicating that the material inside is hazardous. Each state regulates the disposal of sharps differently. Click HERE to determine your state’s standards for sharps disposal. It’s important to minimize the amount of contact that an individual has with bio-hazardous material such as sharps waste. For that reason, programs such as sharps mail-back systems exist to take away the issue of finding a reputable disposal location. PureWay Compliance, Inc. has partnered with multiple pharmaceutical companies to proactively provide sharps mail-back systems to their patients that self-inject. Any healthcare facility or self injector can find solutions for sharps Mail-Back waste HERE. The number of sharps produced annually is steadily growing. Sharps containers are necessary in ensuring that the disposal of that bio-hazardous waste is done safely and efficiently. (1) “Sharps Waste.” Wikipedia, Wikimedia Foundation, 14 Sept. 2018, en.wikipedia.org/wiki/Sharps_waste. (2) “FDA-Cleared Sharps Containers.” Safe Needle Disposal, safeneedledisposal.org/sharps-management/fda-cleared-sharps-containers/. (3) WHO Archived 2006-05-25 at the Wayback Machine. World Health Organization (2004). Proposed agenda to evaluate the risks and benefits associated with using needle-removing devices. Switzerland. (4) Safe Needle Disposal. (2018). What Are Sharps? - Safe Needle Disposal - Types of Sharps. [online] Available at: https://safeneedledisposal.org/sharps-management/what-are-sharps/ [Accessed 16 Oct. 2018].